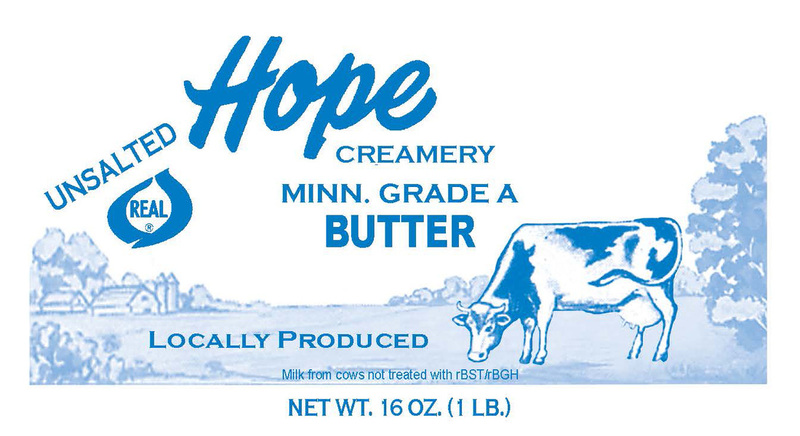 Hope Creamery was grateful for the reception we received during the fair week. We would like to extend a special thanks to The Moogician for incorporating our products so heavily into his act, even including a new trick in his routine tailored to include our butter! Jay scored well in the Minnesota State Fair Butter Competition, with an overall score of 97.447 out of 100. Our butter is on display there in the Dairy Building, so go check it out while you explore the Great Minnesota Get-Together! Season One took place over a calendar year in Minnesota where every Monday for 52 weeks, the duo released short films that followed the culinary, agricultural and hunting explorations of Daniel Klein. Hope Creamery was the subject in Episode 13. Common Roots Cafe opened in 2007 in the Uptown area (25th & Lyndale), they serve good food made from scratch. The kitchen and bakery use local and organic ingredients -- on average the ingredients are 50.2% local (within 250 miles of the cafe). This number goes up in the summer growing season, but all year long they serve local meat, dairy, and flour.